The gala raised $215,000 for Samaritan Healthcare & Hospice’s programs and services. Samaritan Healthcare & Hospice’s annual Celebration of Life Gala, held on Saturday, Feb. 10, at the Crowne Plaza in Cherry Hill, raised $215,000 for the not-for-profit’s programs and services benefiting seriously ill patients and their families, and those grieving a loss — including the more than 500 veterans Samaritan cares for each year. Emceed by Samaritan board chair John C. Gillespie, the event included dinner, live music, dancing, a silent auction, and the drawing of two winning tickets of the Delightful Dining raffle held by Michael Bozek, and Amanda Kimmel. Attended by more than 360 guests, the Gala was supported by a volunteer committee, and sponsored by Holman Enterprises along with many sponsors and advertisers. A panel of Honorary Celebrants helped Samaritan recognize and celebrate our community’s veterans, and focused attention on the services our community offers to assist active military and veterans throughout their lives. Honorary celebrants included Dr. Joseph P. Costabile, a Cooper University Health Care surgeon, and captain in the U.S. 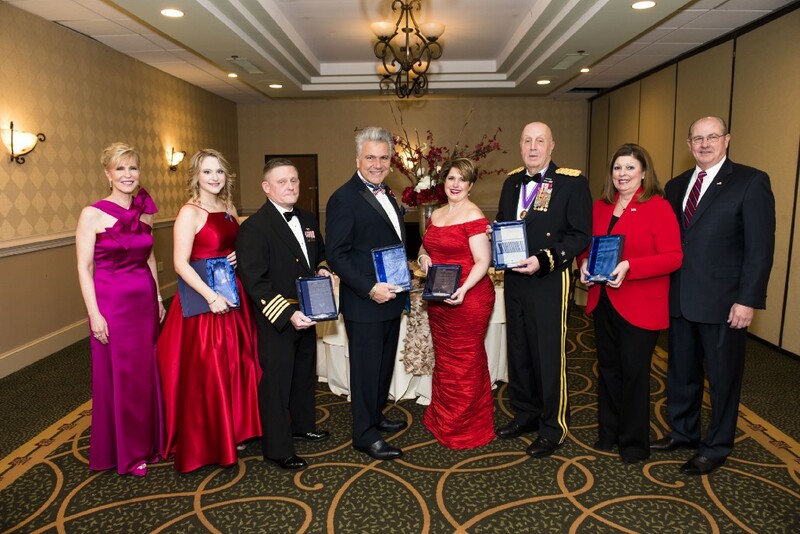 Naval Reserves Medical Corps; Debra DeLorenzo, president and CEO of the Chamber of Commerce of Southern New Jersey; Major General Steven J. Hasem, of the U.S. Army (retired), CEO and founder of Peak 74 International; Kristi M. Howell, president and CEO of the Burlington County Regional Chamber of Commerce and Donald M. Tretola, chief public affairs officer with Allies, Inc., and board member of the New Jersey Employer Support of the Guard and Reserve.